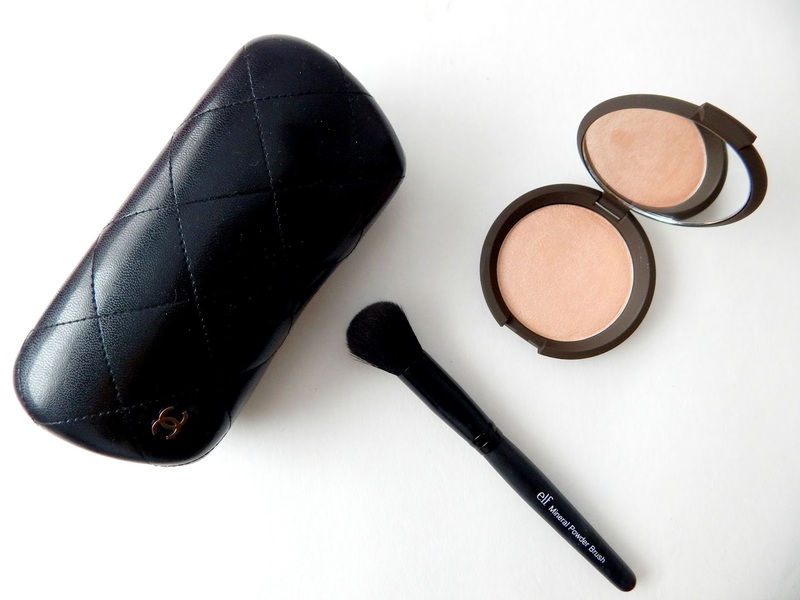 Strobing seems to have taken over the beauty world and no other highlight can do it better than Champagne Pop, the recent collaboration by beauty youtube guru Jaclyn Hill. It is a soft white gold with peachy pink undertones. It applies flawlessly to the skin, like all Becca products, and lasts all day. It catches the light beautifully. I like to apply it with this e.l.f. mineral powder brush because of the nice dome packed brush. It fits over the cheekbones, temples, bridge of nose, and above the eyebrows perfectly. Skip on the contour, highlight a bit, and glow baby glow!